With Martin Luther King Jr. Day around the corner, fifth and sixth graders watched a live performance about the different African American experiences of fighting for rights to equality and liberty. The story follows Peter Freeman, a free black man in the Massachusetts Bay Colony in the 1770's. When the colonial conflict with the British government reaches Freeman's town of Concord, he and his family find themselves at the heart of the battle. While Peter's father joins the patriot militia, his brother goes to sea and is stolen by privateers and sold South into slavery. And by the time the colonies declare their independence, Peter and his brother find themselves on opposite sides of a war. Seventh and eighth graders had the opportunity to watch a live one-man show about the civil rights movement. The Living Voices actor acted out a performance called The Right to Dream. He took on the persona of a fictitious character who recounts the civil rights struggles of the 60's. As he acted, he showed real footage of different events of the time, such as the Montgomery bus boycott, the protests in Selma, the march on Washington, and the Atlanta church bombings. 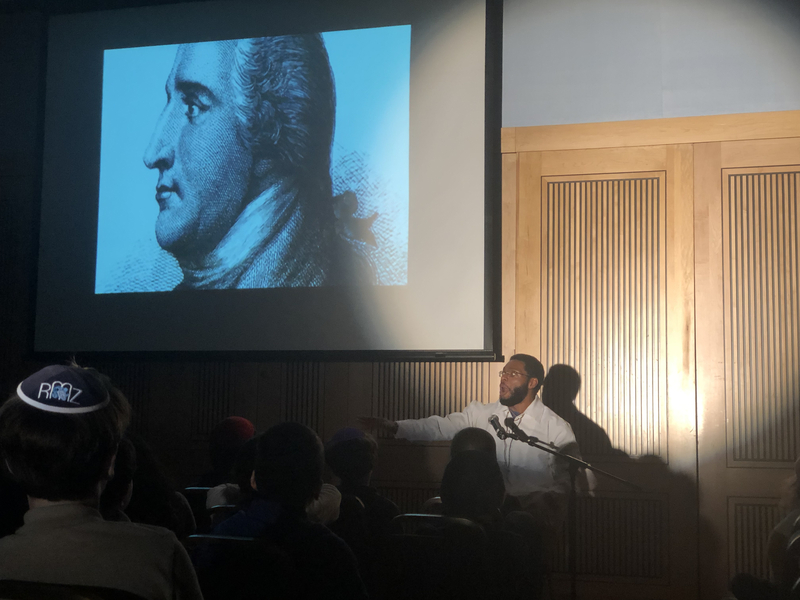 The actor ended by explaining that the young generation was the one that took the greatest action - and this message left our students inspired and motivated to be proponents for change in their own communities.